This online form is to be completed by the school principal or designate on each day when the school absenteeism rate is significantly increased. A guideline for determining “significantly increased” is approximately 10% above the normal rate of absenteeism for the time of year. 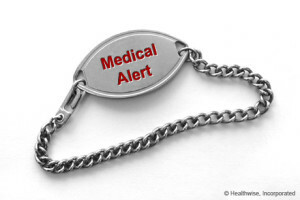 The MedicAlert® Foundation Canada is a charitable organization which is the leading provider of emergency medical information services linked to customized medical bracelets and necklaces. MedicAlert offers free memberships to students (from age 4 to their 14th birthday) through the No Child Without® program in select schools. All SD 61 elementary and middle schools are participating members in the Medic Alert No Child Without Program. If you would like to apply for a free medical bracelet please contact your school office to receive a brochure. The BC Healthy Kids Program helps low income families with the costs of basic dental care and prescription eye wear for their children. Eligible clients include dependent children under 19 years of age who receive Medical Services Plan (MSP) premium assistance through the Ministry of Health. If you receive MSP premium assistance, contact your dentist or optical provider directly. Eye See … Eye Learn® is a children’s vision program providing Kindergarten students with comprehensive eye exams and, if prescribed, one free pair of eyeglasses. Good eye health and vision are essential for academic and developmental success during children’s early learning years. However, statistics show that 1 in 4 school-age children has an underlying vision problem that can affect performance. 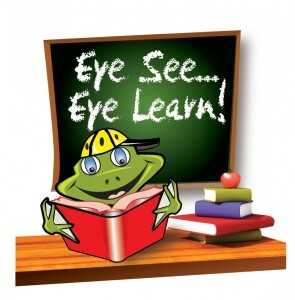 All SD 61 elementary schools are participating members in the Eye See Eye Learn program. The Concussion Awareness Training Tool includes three toolkits providing training in the recognition, treatment and management of concussion for: 1) Medical Professionals; (2) Parents, Players, and Coaches; and (3) School Professionals. The purpose is to provide children and adolescents under 19 years of age from low-income families access to oral care in a not for profit setting. It is based on the beliefs that all children and adolescents have the right to healthy oral care and that effective oral care positively transforms the health and lives of children and adolescents. Camosun’s Dental Clinic offers dental care for clients of all ages. The Dental Hygiene and Certified Dental Assistant students provide professional, preventive and therapeutic services that are caring, high quality and low-cost. British Columbia’s PharmaCare program includes a specific plan to provide financial assistance for most psychiatric medications. The No-Charge Psychiatric Medication Plan, also known as Plan G is available to individuals of any age who are registered with a mental health service centre and who demonstrate clinical and financial need.